Crunchiness. Accordion. Tamborine. Nothing says Christmastime like these things. 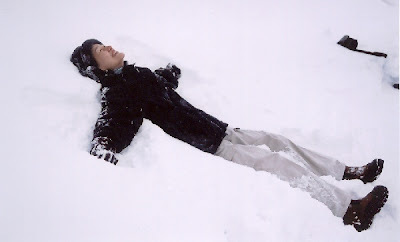 Melt the Snow is a cover of a Virginia Astley track from her EP of the same name. Worth seeking out! Any chance of getting Cubismo's "Ave Maria" reposted this year? Thanks for these! Any chance you could post the christmas songs by Pizzicato 5 and/or Handsome Technique?